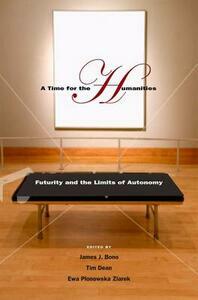 This book brings together an international roster of renowned scholars from disciplines including philosophy, political theory, intellectual history, and literary studies to address the conceptual foundations of the humanities and the question of their future. 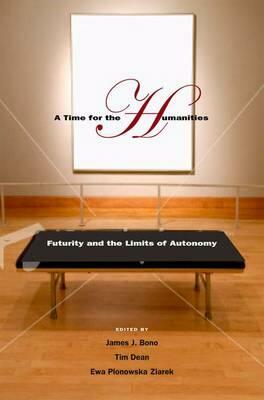 What notions of the future, of the human, and of finitude underlie recurring anxieties about the humanities in our current geopolitical situation? How can we think about the unpredictable and unthought dimensions of praxis implicit in the very notion of futurity? The essays here argue that the uncertainty of the future represents both an opportunity for critical engagement and a matrix for invention. Broadly conceived, the notion of invention, or cultural poiesis, questions the key assumptions and tasks of a whole range of practices in the humanities, beginning with critique, artistic practices, and intellectual inquiry, and ending with technology, emancipatory politics, and ethics. The essays discuss a wide range of key figures (e.g., Deleuze, Freud, Lacan, Foucault, Kristeva, Irigaray), problems (e.g., becoming, kinship and the foreign, "disposable populations" within a global political economy, queerness and the death drive, the parapoetic, electronic textuality, invention and accountability, political and social reform in Latin America), disciplines and methodologies (philosophy, art and art history, visuality, political theory, criticism and critique, psychoanalysis, gender analysis, architecture, literature, art). The volume should be required reading for all who feel a deep commitment to the humanities, its practices, and its future.